The cause of multiple sclerosis (MS) has remained elusive over the years. Chronic cerebrospinal venous insufficiency (CCSVI), the theory that problems with blood and lymphatic drainage from the brain and spinal cord cause multiple sclerosis (MS), is one that has gained worldwide attention. However, CCSVI and the procedure used to correct it are highly controversial. Dr. Paolo Zamboni of Ferrara, Italy and his team suggest that blockages and narrowing of some of the veins that drain blood and lymph from the brain and spinal cord back to the heart can lead to the formation of new blood vessels that re-route these fluids back into the brain or spinal cord. The resulting iron deposits and autoimmune activity, they say, contribute to MS lesion formation. In proposing that MS may be caused by CCSVI, they point to their studies, which show altered venous flow in people who have MS in comparison compared to people who do not have MS.
Is Sluggish or Clogged Lymph Real? This theory has been investigated by other research teams as well as Zamboni's, but results have not been consistent. So far, variations in methods between the different studies have been provided as the major explanation for this. The theory is still being explored by some researchers, and the U.S. Food and Drug Administration (FDA) has made an open statement reprimanding at least one doctor who performed procedures to correct CCSVI outside of an approved research setting. 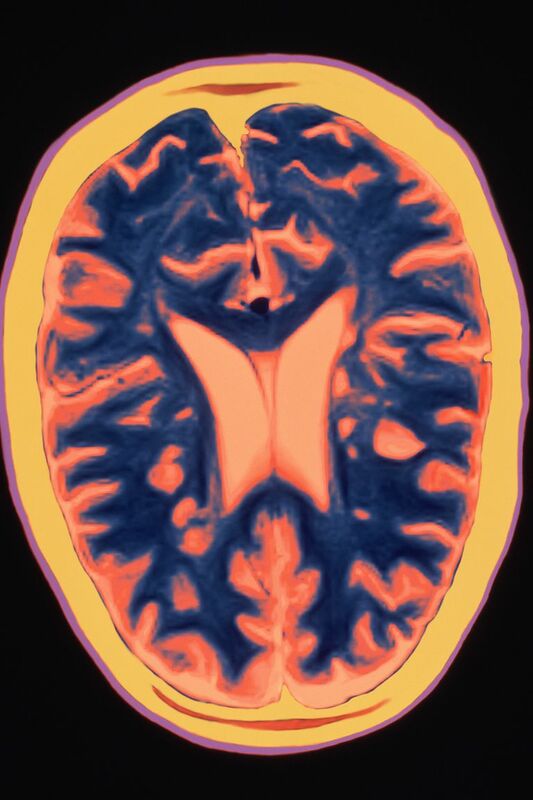 Leading groups—such as the National Multiple Sclerosis Society, the Multiple Sclerosis Society of Canada, and the European Society of Neurosonology and Cerebral Hemodynamics—have not endorsed CCVSI as a cause of MS and have formally stated that the corrective procedure for it lacks benefit. The researchers behind CCSVI have advanced the idea that CCSVI could cause MS, but they do not suggest that you would be able to feel blood flow alterations or know exactly when they occur. While there is no firm relationship between CCSVI and any independent symptoms, it has been suggested that CCSVI could contribute to "brain fog" or cognitive problems in MS. Still, there is no clear sense about how long it may take for blood flow alterations to affect cognition and whether it is a continuous issue or one that only acts up at times. It is also not clear whether the blood flow alterations described with CCSVI could correspond with the ups and downs of MS, or whether blood flow issues are correlated with certain types of MS.
CCSVI is a fairly new concept and is not an established diagnosis. While studies use well-known examination techniques such as ultrasound to observe blood and lymph flow, each one defines outcome measures based on researcher-established criteria—not a well-established, universal set that formally defines CCSVI. As such, your medical team does not have guidelines to follow. Keep in mind that it may be difficult for you to get your health insurance company to pay for any CCSVI testing since it is not recognized as a cause of MS. The treatment for CCSVI involves an angioplasty procedure. Angioplasty often involves arteries, but the type used for this purpose—percutaneous transluminal venous angioplasty (PTA)—opens a vein that takes blood away from the brain or spine to the heart. This procedure is also commonly called "liberation therapy" because it is intended to liberate the flow of blood. PTA is intended to be performed on a vein found to be narrowed or blocked. Criteria regarding the degree of narrowing that warrants PTA may vary depending on set parameters if you are having this done as part of a research study. The reported outcomes of the procedure have not been consistent, with most reports concluding that the procedure is relatively safe, but that it does not improve signs or symptoms of MS. Some experts believe that angioplasty procedures for MS have been proven ineffective, while some continue to pursue the potential benefits of the procedure in the research setting. Additionally, MS patients can get the procedure as medical tourists outside the United States and Canada (where it is not approved), but it may be challenging to find a center where you can have the procedure performed. You should check with your health insurer regarding coverage of the cost if you opt to have this procedure internationally. More than likely, it will not be covered. Getting control over your MS can be a challenging endeavor, so learning about new possible reasons behind your disease (and related ways to address them) may undoubtedly peak your interest. Remember that CCSVI is not recognized as a cause of MS by many leading expert groups, and treatment for it is not approved in the United States. That said, if exploring this further is something you are considering, speak with your medical team. They should know the details of your health situation well enough to give you their honest opinion about pursuing testing and treatment. You could also consider enrolling in a clinical trial, as these experimental studies often provide a great deal of supervision and close medical and regulatory oversight. Baracchini C, Valdueza JM, Del Sette M, Baltgaile G, Bartels E, Bornstein NM, et al.CCSVI and MS: a statement from the European Society of neurosonology and cerebral hemodynamics.J Neurol. 2012 Dec;259(12):2585-9. doi: 10.1007/s00415-012-6541-3. Epub 2012 May 31. Morovic S, Zamboni P.CCSVI is associated with multiple sclerosis.Neurol Res. 2012 Oct;34(8):770-9. doi: 10.1179/1743132812Y.0000000035. Zamboni P, Tesio L, Galimberti S, Massacesi L, Salvi F, D'Alessandro et al. Efficacy and Safety of Extracranial Vein Angioplasty in Multiple Sclerosis: A Randomized Clinical Trial.JAMA Neurol. 2018 Jan 1;75(1):35-43. doi: 10.1001/jamaneurol.2017.3825. What Is a Multiple Sclerosis Relapse? The Swank Diet: Can Limiting Saturated Fat Stop MS From Getting Worse?